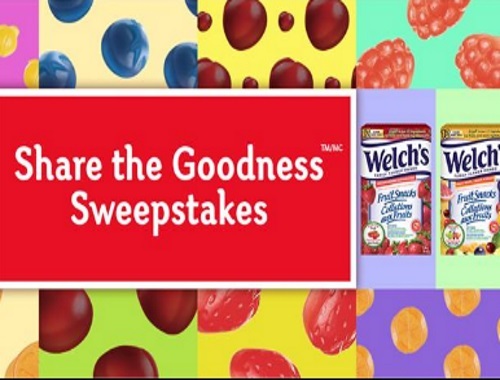 Welch's has a Share The Goodness Sweepstakes on now! Enter for your chance to win a year's supply of delicious Welch's Fruit Snacks or one of many boxes! If you are a winner you will be notified via email. Good luck! Contest closes December 31 2016. Quebec is excluded.